this week’s Tiger Talk, defensive lineman Harold Brantley and running back Marcus Murphy joined Head Coach Gary Pinkel and Mike Kelly, the voice of the Mizzou Tigers. Kelly began by joking with Brantley and asking if he has been requesting any short-yardage opportunities on offense. Brantley, a Hershey, Pa., native, talked about the family atmosphere of Mizzou Football and how it impacted his decision to attend Mizzou. Murphy also discussed the family atmosphere and his teammates’ connection to one another..
After talking about the players’ studies, Kelly went into Murphy’s thought process when he only has one person left to beat on a return. Brantley and Kelly also discussed what it’s like to work with defensive line coach Craig Kuligowski, who has now coached eight Mizzou linemen to First-Team All-Conference honors. Coach Pinkel rejoined Kelly at the table to discuss Brantley and Murphy’s versatility as athletes, as well as the team’s goals for practice. “You have to go out there and practice at a different level. You as an individual have to be determined that, when you walk off that field, you’re going to be a better football player,” Pinkel said. “When you get a team of guys to do that, then you can really improve. Practice is so very important. 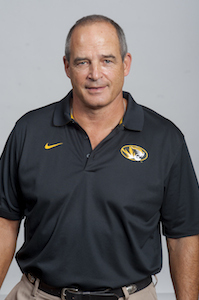 See Tiger Talk live at 7 p.m. every Monday at Buffalo Wild Wings, or watch online via the GaryPinkel.com livestream. See Mizzou Football back in action at 6 p.m. Saturday, October 18 against the Florida Gators on ESPN2. Follow Mizzou Football on Twitter, Instagram, and Facebook for updates throughout gameday.